I live in the Sierra Foothills and wanted to share what life is like living in the foothills. It is definitely not city life! We discovered since moving here that the only thing here that has changed since the 1800’s are the clothing styles, how the houses are built, modes of transportation and little else. It is a rural area that we have dubbed Green Acres. Yes, the mentality of folks here must be the same as it was back in older times. We love the peace and quiet and we love the opportunity to see wildlife that you just do not see in the city, that is unless you go to the zoo! The air is clean; it rains; it snows; we have the four seasons. I have been inspired here by a friend who recently passed away to pursue my love of writing. I am hoping to become published soon. Please take a look at all the different categories on my blog. I hope that you enjoy them all! I look forward to your comments and if you like what you see, please feel free to subscribe! I moved from our home in Sutter Creek eight years ago. We lived right off highway 49 going toward Jackson. Do you know that area? Miss the small town life. Yes, I do know the area. We were in Sutter Creek not long ago. We went to Sutter to shop at a marvelous kitchen supply store. Then we went to Sutter Creek. We stopped at the Lowe’s there. Nice store. How long did you live in Sutter Creek? I love the quiet of the small town life. The break from the hustle and bustle of city life was too much. I do not miss that. We lived there since the mid centuries. Hubby and I met when we were new teachers to the area, stayed and raised two daughters. Lived in the our house for 42 years and then moved to the state of Washington, following out girls here. Of course they moved on and left us here. We are moving soon to Oregon where my oldest daughter lives. Lucky you! How lovely that you met, had a family, and were able to spend all those years there. Where in WA state? The same thing happened to a friend here. She moved here and 6 months later her family moved to the mid-west. We live in West Richland in southeast Wa. (reclaimed desert. Love the people in my neighborhood , but miss our kids terribly. I am not familiar with that area. It is good to live around friendly folks. Good luck with your move to OR! The cat face attracted me. Then the title made me click over. As I was clicking on the “about”, I was mentally chanting, “Please let it be the Sierra’s!” So beautiful up there! Ahhhhhh. I love your concept, and the description of the fresh, open air is one to put me in a state of serenity. Great job! What a wonderful legacy to your friend who has inspired your writing. Best wishes for more great posts in 2015. I miss him every day! My best to you both! Pardon my unconventional way of wishing you a happy, peaceful and healthy 2015. I’ve just discovered your blog and I love your work. I’m just a beginner! Thank you for your comment! I added the link to your site so that when folks can find you through your name on this comment! Good luck with your new blog! Have fun with it! I just stumbled upon your blog and now really excited to find some amazing landscape images here. Let me explore your part of the world through the images and your stories. Thank you John for visiting! Likewise, and thank you for leaving your story. I’m looking forward to checking back in. I’m new at this and finding my way around starting close to home (the Sierra foothills). If you have questions, I would be happy to share my experiences and knowledge with you!! Hey, Miss Barbara. How you doin’? Part of me wants to be in the foothills somewhere although right now it’s like I’m a cast away on a beach that I just don’t want to leave. Yet. I’ve often dreamed of being in the woods again after leaving PA to SC in 1999. You’re photographs are always so cool to me. Makes me feel a little closer to “Green Acres.” “…the place to be.” It seems so peaceful in the foothills of Sierra. I noticed “splashdown” of the geese photo and decided to stop. Glad I did. Have a great holiday season, my friend! You have a great holiday season too Dharma! You can go anywhere you want, any time you want…you just have to find the inspiration, the desire, and the will! Just ran across your blog and have been reading it for the past 20 minutes! I love your mixture of wine, cooking, and just your day to day. Can’t wait to read more! Thanks! I hope that you enjoy the variety of posts that I do! Thanks for the comment JC! Great blog enormously interesting with super pictures. Love your forays into grapeland and tutorial style about wine – one of my favourite subjects. Back at you Dan! Thank you for this lovely comment! Love your email address….reminds me of mine…. Look forward to seeing your posts on my reader as I will be following your blog. Lots of great photos! 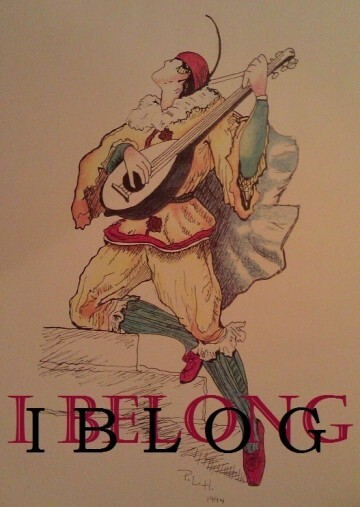 RoSy – Many thanks for signing up to follow my blog! And, I look forward to entertaining you with my posts! Thank you to Sharla for asking me to collaborate with her! Thank you for your comment and the compliment! Please do come back and visit again! Many thanks Julie! I am truly humbled! Hello, I find your blog inspiring for someone like me who is also fond of photography and travel. So I am nominating you for The Very Inspiring Blogger Award. Please check out the rules HERE or you may also visit my blog, Gasm Travels. Thanks and congratulations for a very inspiring blog! Thank you for all of your comments and for signing on to follow my blog! Hugs to you, and I hope that you will enjoy all of my posts! Hi Barbara… nice to meet you. And very nice to meet you too! Greetings from Placerville, which is east of Sacramento, CA and west of South Lake Tahoe! After the picture of the wolf I had to check again what neck of the woods you were shooting from. Sounds very peaceful. We are in the Sierra Foothills east of Sacramento. But that is not where that photo was taken. We have coyotes here…the wolves are elsewhere! You are amazingly talented!! Thank you for sharing the world through your skillful and soulful lens! I know you’ve been nominated for this award and many others, AND you so deserve it! I nominate you for the Very Inspiring Blogger Award!! Nominate 15 blogs and let them know they’ve been nominated and how to accept the award. Thank you very much! Not only for the award but for the compliments! I am truly honored! My humble thanks for the nomination! It warms my heart to be nominated again for this award! Hugs! Hi Barbara, I’m glad to have found your blog! Parts of the scenery reminds me of Norway, unbelievable. Now I’ll take a closer look at your pages. Enjoy your weekend. Thank you for stopping by Dina! How far north are you? Thank you so much! I am honored by you! Looks like you are on the other side of 49 from me – LOL! I’ve got to share this post with you : http://wp.me/p2zGQ7-h9. That wall is quite a piece of artwork! We were in Murphys CA walking down the street and came to an area where there was an inset. And there it was! I hope that you enjoy your wandering on my site! Thank you for your comment! I am glad that you found my site! It is an amazing experience and as you tour through my blog you will get a glimpse. Click on the categories of Life in the Foothills, Photos and Nostalgia to see more of this amazing region! Thank you for the comment LuAnn! 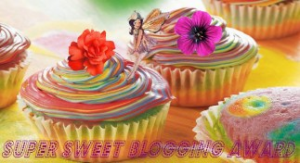 Hi Barb, I would like to nominate you for TWO awards: The Super Sweet Blogging Award and the Beautiful Blogger Award. I have not posted my posts yet but you know the drill in case you want to get a head start. Congratulations! Wow! I am truly humbled Marcella! Many thanks! And huge hugs! How are you? – I’ve nominated you for the Very Inspiring Blog Award. Check out my post at http://www.marcellarousseau.wordpress.com. Marcella – I am good! I hope that you are too! Thank you so much for the nomination! How lovely! 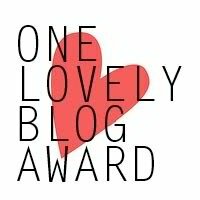 Hello there, we have nominated you for the One Lovely Blog Award, details: http://wp.me/P1ImlN-hF. Love what you’re doing! You’ve got something great going on in here. I hope to read more. Thanks Gerry! I like to have fun! Hi Barbara, I’m glad to have found your blog! When I started mine, I searched and searched for someone who knew about gardening and nature in the foothills. I found very little! I’m south of you near Oakhurst. I have nominated you for Mrs. Sparkley’s Ten Commandments Award. If you choose to accept the rules are on my post: http://geniespeaks.wordpress.com/2012/06/14/mrs-sparklys-ten-commandments-award. If you do not choose to accept that’s okay, just know I enjoy your blog. There must have been a glitch in the system when you tried it. I just tried it and it works. I’m looking forward to your answers. Congrats! Thank you! I appreciate it very much! I was born and raised in the Central valley of Cali.until 10 years ago. Love your blog; a little bit of home. Glad that you like it Maggie! I am in the Placerville area of the foothills! Stick around, more to come! Hi Barbara, love your blog. I want to go home and try every recipe you have posted! Thank you Gina! One thing that I am good at is whipping up stuff in the kitchen! Let me know what recipes you try and how they turn out! Thanks again for the comment! Hi there, looks like you have a great blog going here, have followed, and look forward to seeing your posts! One of your new readers! Thank you for following me Emily! I moved from Placerville back in 1980. I bet it’s grown a lot since then (or so I’ve heard). Population hovers at 10,000. I used to live in Tahoe (1979) for a number of years and traveled between there and the bay area to visit my parents. The growth has been on Placerville Drive and Missouri Flat Road…Thanks for the reply! Nominated you for an award today. Check out my lates post. Thank you Conor! I am humbled! I am so happy I found your blog! I love the writing, best of luck with getting published! Christmas Eve tomorrow here. We are not cooking the traditional. We never do. On Christmas Day, we will cook roast rib of beef, Yorkshire puddings, potatoes and roast winter vegetables. We will have smoked salmon and home made brown bread to start. A meringue cake with raspberries to finish. There will be no photos or posts. It is a family time. Wishing you a happy Christmas and all the best in 2012. I have not made a ham in years for Xmas. Usually I do a rib roast smothered in garlic and peppercorns, with Yorkshire pudding, roasted potatoes and asparagus. Cheeses and breads to start. To finish a chocolate mousse cake drizzled with raspberry merlot sauce and whipped cream….This year it is just me and my husband and the ham will be providing additional meals. I am actually looking forward to being in the kitchen! I too wish you a Happy Christmas and may 2012 be a year of prosperity, health, and filled with love and family!